24th November 2015 marks the centenary of the birth of Tom Gibson, President (1976-78) and Honorary Librarian (1964-74) of our College. He made an outstanding contribution to 20th Century medicine by developing a “hypothesis that laid the scientific foundation of tissue and organ transplantation”1. Tom Gibson was born in Kilbarchan, Renfrewshire, on 24 November 1915. He was educated at Paisley Grammar School and Glasgow University where he graduated MB, ChB in 1938. He worked in the Medical Research Council Burns Unit, Glasgow Royal Infirmary, 1942-4. While at the Burns Unit he made an outstanding contribution to the understanding of the mechanism of homograft rejection. 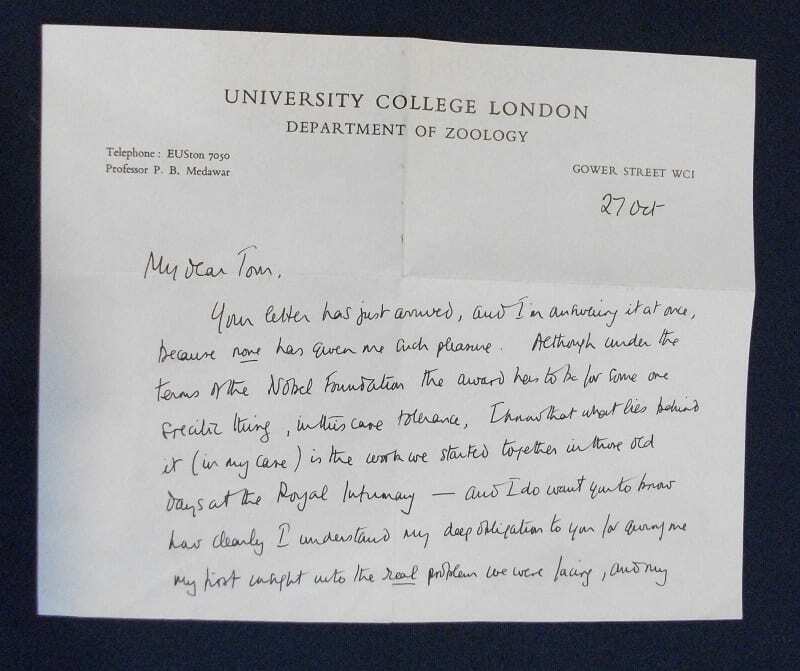 He was joined in Glasgow by Peter Medawar who had been working in Oxford on the same problem and their joint work “The fate of skin homografts in man”, was published in the Journal of Anatomy in 1943. The article is quoted in Morton’s Medical Bibliography as the work which placed the laws of transplantation on a firm scientific basis. During this period Gibson also established the principles of management of the shock phase of burns. He subsequently worked in an RAMC maxillofacial surgery team until demobilisation in 1947. Following the war he joined the West of Scotland Plastic Surgery Unit, initially at Ballochmyle, later in Canniesburn Hospital, where he became Director in 1970 until he retired in 1980. His researches with Professor R.M. 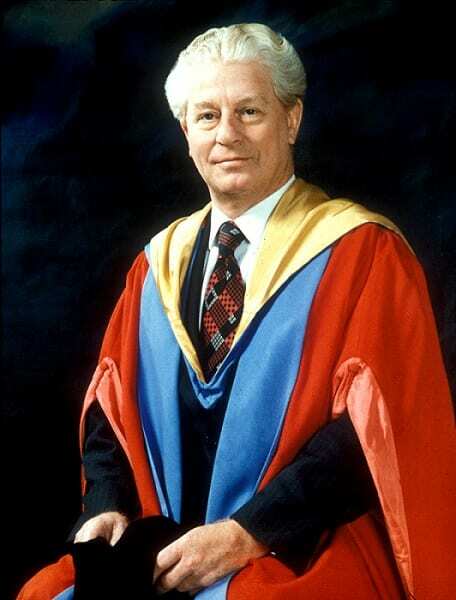 Kenedi culminated in the establishment of the Bioengineering Department of Strathclyde University, in respect of which he was appointed Visiting Professor and awarded an honorary DSc. He published widely on tissue immunology, burns, bioengineering and various aspects of plastic surgery including its history. 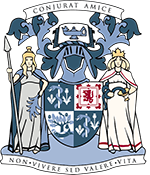 He was Honorary Librarian and a member of Council of the Royal College of Physicians and Surgeons of Glasgow from 1964 to 1974 and was President from 1976 to 1978. He wrote The Royal College of Physicians and Surgeons of Glasgow, A short history based on the portraits and other memorabilia, in 1983 when he was Honorary Curator of the College’s art collection. The College archive houses a collection of Gibson’s case histories, publications, photographs and correspondence (RCPSG 55). You can see some of these items in our latest exhibition in Crush Hall which runs until the end of November 2015. 1. Conway H, Reid WH and Beaton JJ. Tom Gibson, plastic surgeon (1915-93): his life, the second set phenomenon, the host versus graft reaction, and the birth of tissue transplantation. Journal of Medical Biography; 2006, 14(4), p192-6. Mr. Gibson was a remarkable man who tried for many years and many, many operations to create a right-side orbital area for me that was similar to my left side. Mr, Gibson had mixed results as far as I was concerned because as he kept telling me, irradiated skin is notoriously difficult for grafting. When he left Ballochmyle to transfer to Canniesburn, I went with him and have lost of memories of how kind he was to a very frightened child.